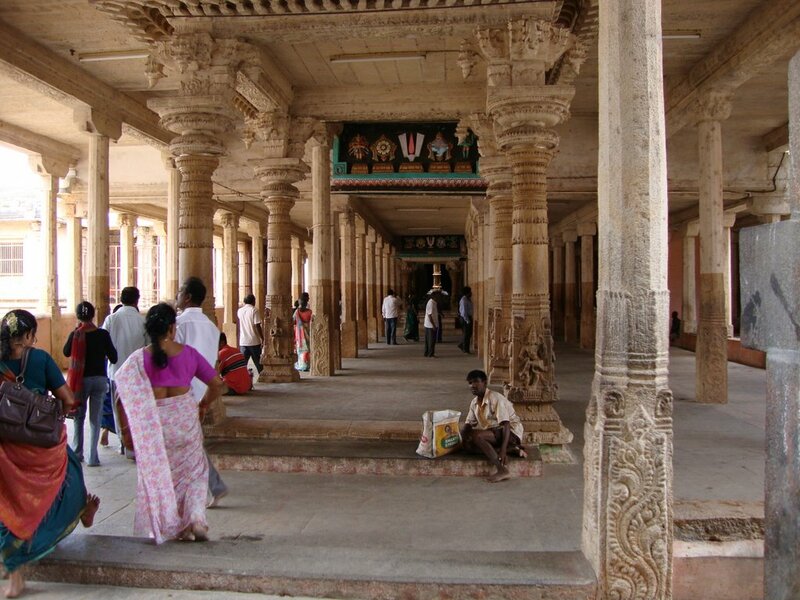 Alwar Thirunagari or Sri Aadhinatha Swamy Temple is one of the Divya Desams, the 108 temples of Vishnu Believed to have been visited by the 1 poet saints or Alwars. This Temple is located at Azhwar Thirunagari in Thirunelveli district. 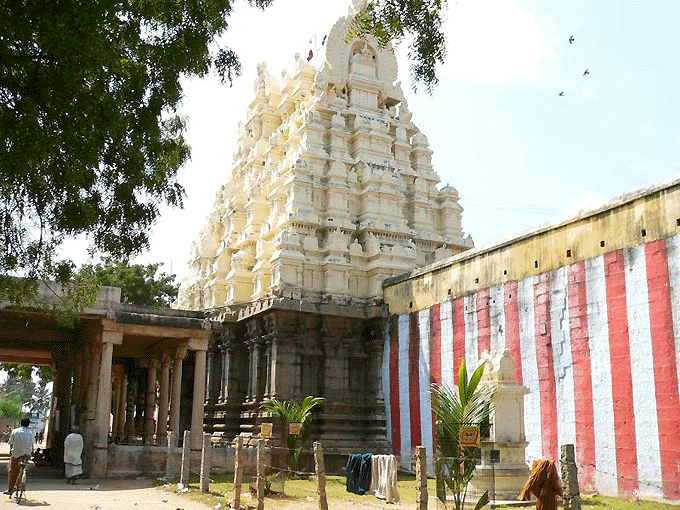 Sri Aadhinatha Swamy temple is massive an impressive edifice. 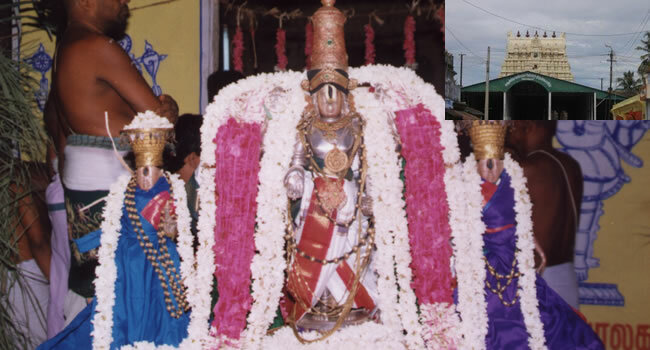 The main Deity of sri Aadhinatha Swamy Temple is Moolavar Thiru Adhinatha Perumal with his consort Goddess Sri Adinathavalli Thayar/ Kuruhoorvalli. This is the Birth place of Nammalvar also known as Alwar Thirunagari. Nammalvar attained Samadhi in this sacred land. The legend has that Goddess Boodevi was abducted by the demon Hiranyaksha and hid her on the Rasathala, deep under the ocean. Lord Brahma was in a dilemma to resume his "Creation". He approached Lord Vishnu to find a solution for this serious issue. Lord Vishnu transformed into a wild boar and plunged into deep under the ocean. He killed the demon Hiranyaksha gracefully lifted Boodevi from the deep ocean. Thus, Lord Vishnu saved Mother Earth from the clutches of the demon; therefore this sacred land came to known as Varaha Kshetram. Alwar Tirunagari is believed to be the largest town in the time of Pandya kings. The name of the town in Sanskrit is Srinagari; and under this appellation, it is alluded to Brahmananda Purana. The distinguishing name, with azhwar prefixed to Tirunagari, Alwar Tirunagari. The place is believed to be the birthplace of Nammalvar. Just as in otheravatars, or incarnations, Vishnu is believed to have incarnated as Nammalvar. Sri Aadhinatha Swamy Temple is Located at Alzhwar Thirunagari in Thirunelveli, Tamilnadu. Sri Aadhinatha Temple is a Hindu Temple dedicated to Lord Vishnu.This Temple is also Known as Varaha Kshetram. 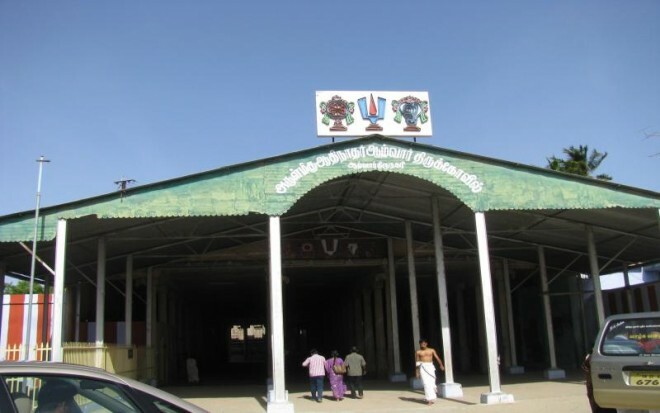 The important Festivals of this Temple is Vaikundha Ekadashi, Arayar sevai, Vaikasi Visakam festival, Garuda Sevai, Chaitra Pournami, Masi Panguni Utsavam, Brahmostavam, Pavithrostavam, Uriyadi, Krishna Jayanti, Navaratri, Unjal Utsavam. Sri Aadhinatha Swamy Vimanam is Govinda Vimanam. Lord Brahma worshiped Lord Vishnu on this sacred land before starting "creation" of living beings on Earth. 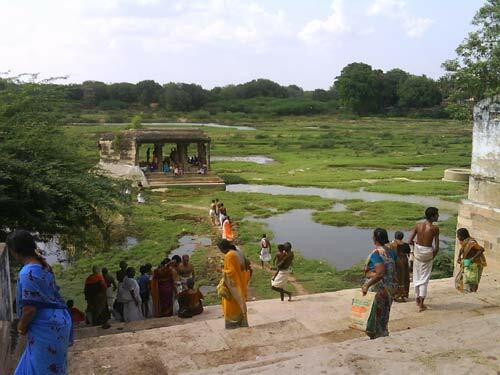 Thirukkurugoor is the Avathara Sthalam (birth place) of Nammalwar. This sthalam explains his specialty and his works towards Vaishnavism and because of this, the sthalam is called "Azhwar Tirunagari". Emperumaan, Sriman Narayanan says to Brahma that before producing him, he came to Porunai river and lived there. And said him to keep this temple as "Aadhi temple" (first and main temple) he should worship him. Like this he gives teaches (Ubhadesam) to Brahma as a Guru (Teacher) since, Sriman Narayanan acts as a Guru for Brahma, this sthalam is called "Kurugoor"
Sri Aadhi Varaha Perumal Temple - T..
Sri Aadhi Varaha Perumal Temple - ThirukKalvanoor ..
Thiru Ooragam - Sri Ulagalantha Per..
Thiru Ooragam - Sri Ulagalantha Perumal Temple,Kan..